Global Business Africa - is program that will strive to cover the insights of Africa's ever changing business landscape. 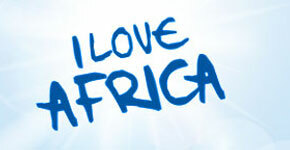 CNTV´s "I Love Africa" is a series of new media products especially designed for African users. These products provide video-on-demand services of high-quality programs including Chinese TV dramas, documentaries, variety shows, sports events and live broadcasts of CCTV´s multilingual channels via fixed and mobile internet.